The Continental Universal Replacement Sling is a very supportive sling and features comfort padding to the leg sections and removable stiffeners to the back section. It is available in either a polyester or a soft mesh material. This sling comes as standard with a waist support channel – a detachable elasticated waist support can be purchased as an optional extra. The detachable waist supports are available in a variety of sizes. 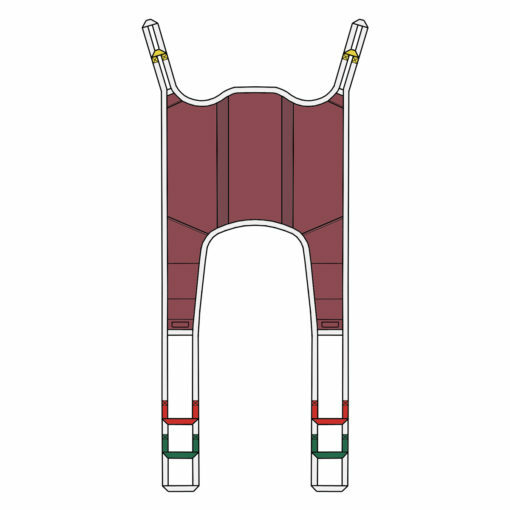 This Universal is a full body supportive sling with divided leg sections and allows good commoding access. It is easy to apply and is used for general transfers for compliant patients.